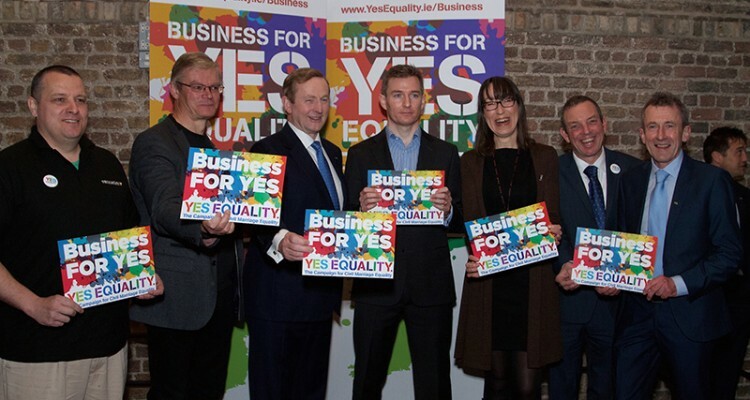 Vennetics CEO Speaks at Business for Yes, Equality Seminar. Vennetics is a Dundalk-based software company, providing Video on Demand solutions to international customers. Delivering these solutions typically involves projects that span more than a full calendar year and so in order to win such projects against our competitors, it is important for us to remember the truism than “people-buy-from-people”. 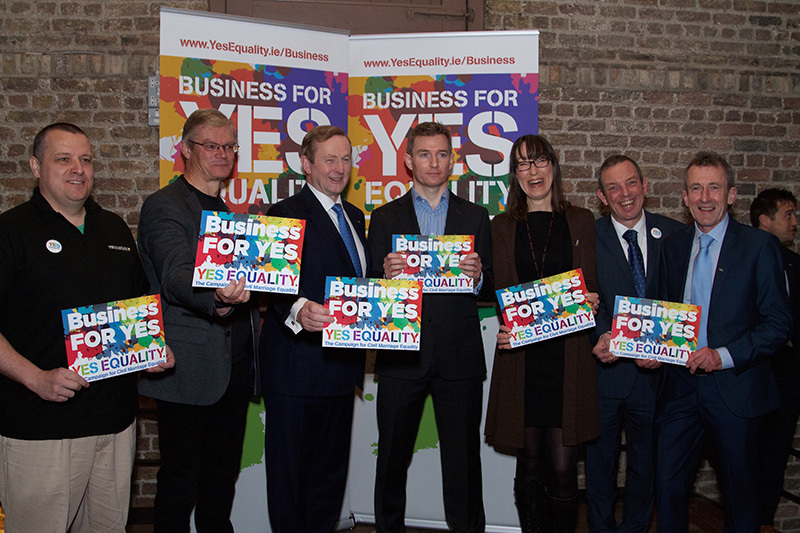 John Hamill, CEO of Vennetics with the Irish Prime Minister Mr. Enda Kenny and other Irish Business leaders including representatives from Twitter and Atlantic Bridge Ventures at the Business For Yes Equality Seminar. What this means is that our customers are not just comparing the merits of various competitive products against their respective price points. Rather, they are also considering a long project during which their own team must work closely with another team of software developers at their chosen supplier. Irrespective of how impressive the Vennetics software products are, we can only be successful as a company if our customers are confident that they can work effectively with the people at Vennetics. In this context, it is clear why an open and inclusive working environment is essential for technology companies. It was no surprise therefore that hundreds of technology companies recently made a formal submission to the American Supreme Court in support of marriage equality. A legal framework that identifies a particular minority in society and then discriminates against them, is not conducive to creating a relaxed atmosphere that supports diversity among employees. In Ireland, we have benefitted greatly from the Equality Act 2004. Once employees are assured that they can come to work without worrying about various types of discrimination, they can have the confidence to bring their entire personality to their efforts. There is no question that people can be more productive and innovative once they are given the freedom to work without fear of discrimination. One of the last lacunas in the Irish legal framework however, is marriage equality. Every single day, the software teams at Vennetics are working with customers in other countries like the USA, England, Canada, Australia and New Zealand. If anyone doubts that equality plays a role in building these personal relationships with our customers, they can consider that these are the same countries that young Irish people typically go to when seeking work abroad. Just imagine if any one of those countries had a plebiscite in which they voted to identify a specific minority and discriminate against them in law. Of course, Irish people would then view that country as a less attractive destination in which to live and work! The same thing is true for Irish business. It will be immeasurably more difficult for Irish companies to win foreign contracts, if we are perceived as being happy to discriminate against our gay citizens. Equality is good for investment, good for jobs and good for business. For these reasons, Vennetics will be providing all of our employees with an extra half day in annual leave on May 22nd, so that they have every opportunity to cast their vote. We hope that other regional companies will join us in recognising the importance of the marriage equality referendum to Irish businesses. SURE Launches New TV & VoD Search and Discovery App called “Sure On Demand” powered by Vennetics. Your contact details and all information submitted above will be treated as strictly private and confidential.